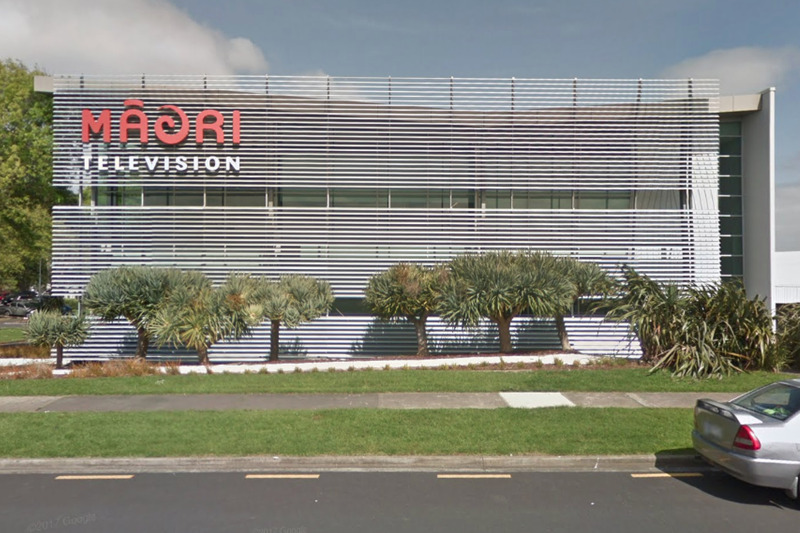 Union members at Maori TV will walk off the job for 24 hours on August 8 in protest over the TV channel’s unfair and discriminatory treatment. 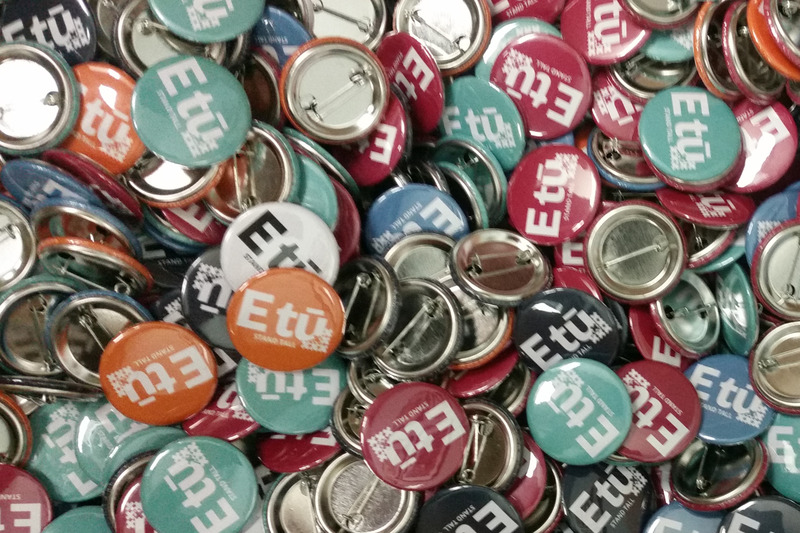 E tū Industry Coordinator, Joe Gallagher says the action follows months of delays by MTV in addressing members’ pay claims, with the company telling the union in October that it had no money. “We were told they were waiting for the board to provide guidance on a new financial management plan and they’d come back with an answer in a couple of week. “We were supposed to reconvene for talks in November, but we heard nothing by Christmas. “then we were informed by our members that Maori TV had through performance appraisals had paid non-union staff a bonus before Xmas and a wage adjustment in Jan this year. And so, our members feel they’ve been discriminated against for being, and belonging to E tū. Joe says Maori TV has not acted in good faith. “The direction and behaviour of the management at MTV is seriously lacking for a company and organisation which promotes the values of tikanga. Stability and certainty for home care workers and their clients must be central to any decisions made around service providers in the Wellington region, the PSA and E tū unions say. Capital and Coast DHB and Hutt Valley DHB are calling for tenders for home care support services, after calling time on their existing arrangement of a sole provider model (currently Access Community Health). The DHBs have made clear their intention to contract more than one provider to deliver this service, and unions say secure and stable work for support workers must be central to any new contract. “Care and support workers fought for and won proper recognition of the crucial work they do, and we are concerned they may be left out of this process,” PSA National Secretary Kerry Davies says. The PSA and E tū understand DHBs intend to consult with stakeholders, and say workers must be included in the process. “If we are to genuinely move towards quality care for our elderly people, then clients and support workers must be consulted,” E tū Delegate Tamara Baddeley says. PSA delegate Helen Amey says she’s worried about uncertainty and instability for workers, because this is the third time many of them have been through this process. The PSA and E tū say maintaining the recent gains achieved by support workers must be core to any decisions made. The unions urge the DHBs to begin proper consultation with workers and their representatives as a matter of urgency. Sistema CEO Drew Muirhead has refused to meet with worker representatives to receive a petition signed by more than 300 Sistema workers. The petition reminds Sistema that its high productivity levels and product quality are due in large part to its workers, and in return they should be respected and rewarded with fair pay. E tū advocate Neville Donaldson says the signatories include both union and non-union workers at the giant plastics firm, “which shows you how aggrieved people are feeling,” he says. “Anger over their working conditions extends across the entire factory floor. When non-union workers join their unionised colleagues to protest about lack of respect, you know there’s a problem,” Neville says. “In this case, everyone wanted to express their frustration over not being valued for their contribution to Sistema’s success – something Sistema’s management has refused to take on board. E tū delegates at Sistema say workers are fed up with compulsory 60-hour weeks for minimum rates of pay, as well as the terrible working conditions. Neville says Sistema’s refusal to deal with the concerns of its workers goes to the heart of the labour reforms of the current Government which has recognized the need for change. E tū union members at Taharoa Ironsands mine have issued a strike notice today, as the company continues to refuse a fair deal for the workers. The industrial action will take effect from just after midnight on 24 August, and involves a complete ban on loading the iron slurry onto ships, meaning it will remain onshore until further notice. E tū organiser Joe Gallagher says the strike is in response to the completely unreasonable approach to wage talks taken by the company, with new boss Wayne Coffey calling the shots. “The company, under the guidance of Wayne Coffey, is determined to reduce terms and conditions for current employees and to strip away long-standing rights and entitlements for future workers,” says Joe. “Ever since Mr Coffey took over, the Taharoa community has been bullied and side-lined. The workers have had enough of the company’s refusal to treat them fairly,” he says. Joe says the mining operations have been vital to the welfare of the remote Taharoa community, which has been a shining example of a self-sustaining community. “Local groups and leaders banded together to establish a local employment policy that, on the whole, has functioned well until this point. Joe says that high union density onsite and strong local support has encouraged Taharoa workers to stand up to the company and protect their way of life. “The workers won’t back down,” says Joe. 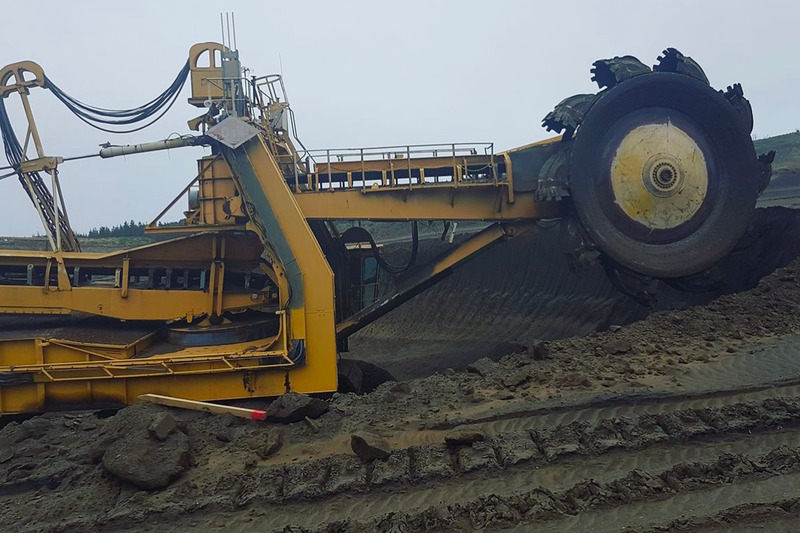 “They’re highly skilled, highly organised, and know that they deserve the respect that Taharoa Ironsands Ltd won’t give them. Every single member voted in favour of taking this action. “The message from the community is simple. They won’t let their terms and conditions go backwards. They will stand up together, not just for themselves, but for their colleagues and family that come after them. Around 5000 mental health and addiction support workers will be paid what they are worth, after the ground-breaking care and support settlement was extended to cover them. Health minister David Clark has signed the $173.5 million pay equity settlement, along with representatives from unions, providers and the Ministry of Health. 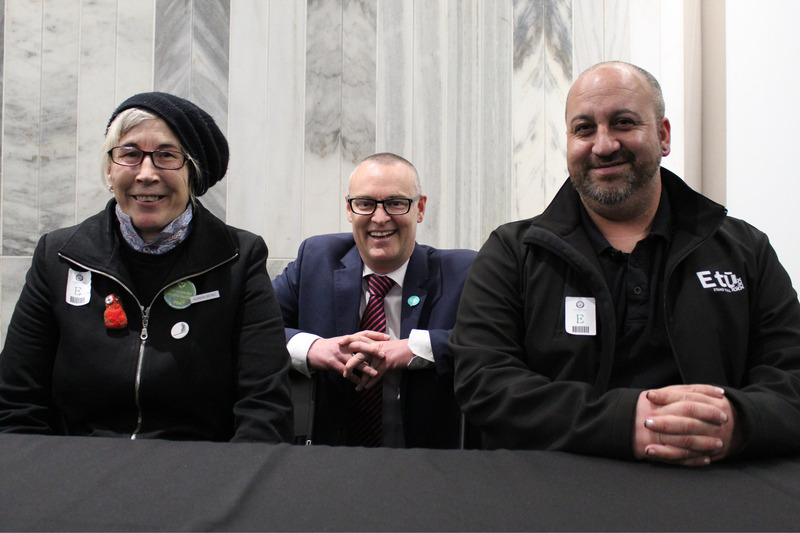 “We’re really happy the government has honoured its election commitment to extend the care and support settlement to mental health and addiction support workers,” says E tū Assistant National Secretary John Ryall. “They’ve had to wait but it’s been worth waiting for,” he says. “I think it’s a real triumph for the workers who have worked tirelessly for so little pay for so long,” says E tū delegate Leon Tunoho who has worked for nine years as a mental health and addictions support worker. “I also hope this helps retain the good people working in this sector as well,” he says. “These workers were unfairly left out of the equal pay care and support settlement by the National government, and we’re thrilled to see this wrong righted today,” PSA Assistant National Secretary Kerry Davies says. PSA Delegate Tarn Evans says today is a hard-won victory which will make a huge difference. “Many mental health and addiction support workers are paid at or just above the minimum wage, and it’s really hard to make ends meet. The settlement will see more than half of workers in the sector get an increase of more than $3 an hour – and one in five will get more than $5 an hour. The increase will be backdated to July 2017. The union has been in talks with this wealthy company, seeking better pay and conditions for its mainly migrant workers. But E tū advocate, Neville Donaldson says Sistema’s multi-billion-dollar owner, Newell Brands refuses to consider anything more than the bare legal minimum. “They’ve told us they won’t deliver any pay and conditions much more than the law requires for the vast majority of its staff – that’s bare bones minimum wages for workers who are required to work five 12-hour days – that’s 60 hours a week. “Overtime” rates are just $2 more per hour and is only paid out after 60 hours per week. 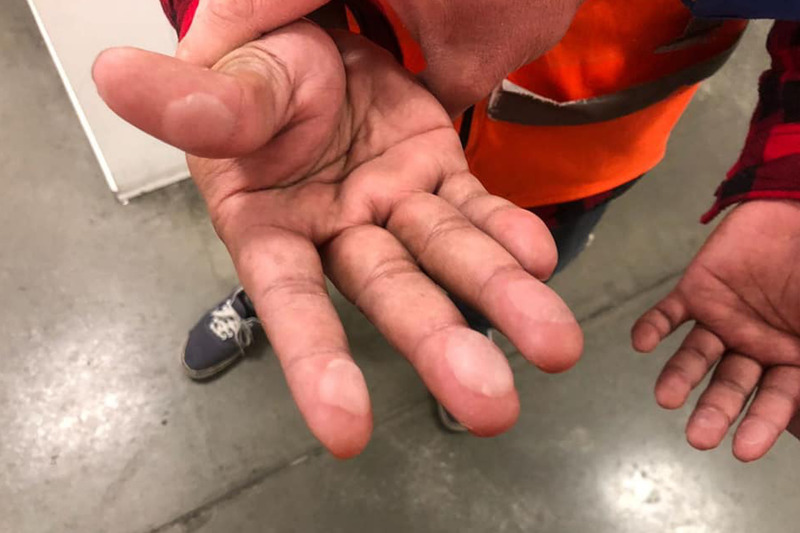 “Some people work 12- hour days, seven days a week,” says Neville who accuses Sistema of the systematic exploitation of its predominantly Indian, Filipino and Pasifika workforce. “They’re predominantly migrants and come from a back ground of having no choice but to accept whatever they are offered,” he says. E tū delegate, Maria Latu says,” People think they are made to work like robots here. The operators are overworked and the money they get at the end of the week isn’t worth it. “They deserve better,” she says. Neville says Sistema is a perfect example of why workers need fair pay agreements. “Sistema seems proud to be the lowest paid plastics firm in the country, with the worst conditions of employment and the longest hours, whilst lauding the success of its products. “It must be challenged over its behaviour. If it goes unchallenged, then other employers may feel they also have to reduce pay and conditions to compete. Neville says the union is looking to mediation next month to break the stalemate. He says the union has strong support on site, with membership growing to more than 200 as workers grow sick of the long hours, low pay and fatigue of their grinding working week. 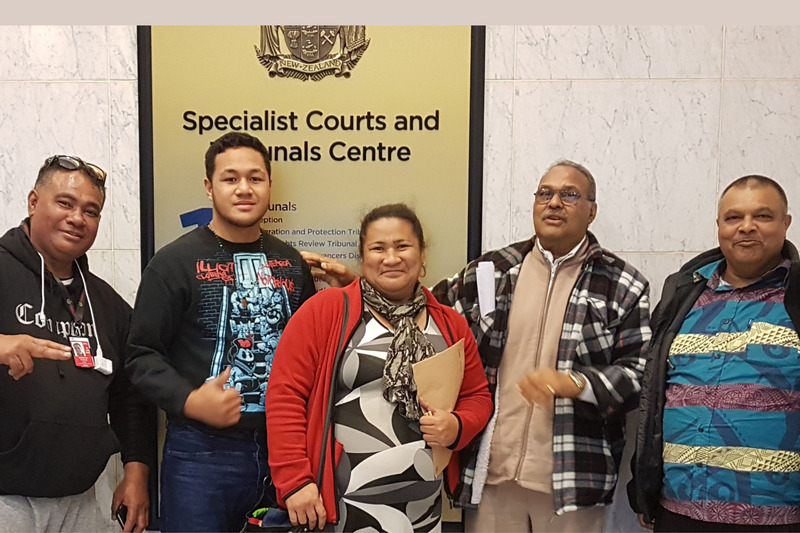 E tū is welcoming the decision of the Court of Appeal to turn down an appeal application from global airline catering company LSG SkyChefs, cementing an important legal victory for New Zealand workers. Last year, the Employment Court ruled that hundreds of labour hire workers working in LSG SkyChef’s catering operation were in fact employees of the company, and if they were union members then they were entitled to the employment conditions set out in the union collective agreement. E tū Assistant National Secretary John Ryall said that the Court of Appeal decision meant that the litigation was at an end, and LSG SkyChefs would need to pay the labour hire workers their proper entitlements. “This decision cements our very important legal victory for the New Zealand workforce,” says John. “Labour hire is being regularly used by many New Zealand companies to move the risk of employment on to a group of very vulnerable workers. It is time that the companies using labour hire in this way changed their business model. The union, E tū says the announcement of job losses at Nestle’s factory at Wiri in Auckland has come as a “bolt from the blue”. 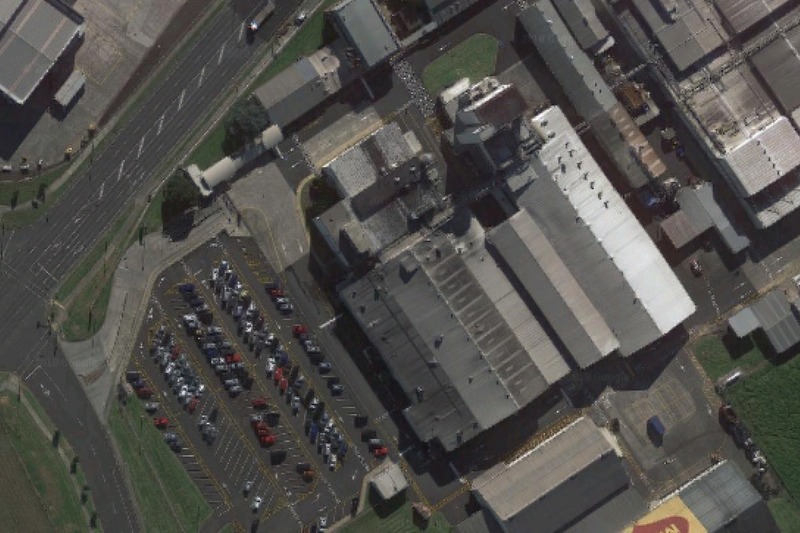 The union has about 200 members at the plant, where up to 55 workers could lose their jobs after Nestle reached a provisional agreement to sell its sugar and confectionary business to private equity firm, Quadrant Private Equity. Well-known Kiwi brands affected by the sale include Mackintosh’s, Heards, Black Knight liquorice, Life Savers and Oddfellows. The restructure will also see production of Nestle’s Scorched Almonds move to a third-party contractor in Melbourne, while production of the iconic Lollipops brand will move to China. “We were aware of the sell-off of product lines and cuts to staff overseas, so we asked the company specifically if there were any such plans for New Zealand,” says Phil Knight, E tū Industry Coordinator, Manufacturing and Food. “We were assured there were none, so this has come as a bolt from the blue,” he says. “Not only is this the opposite of what we were told, but we weren’t invited to the meetings they held with our members late yesterday afternoon to deliver this news, prior to the public announcement. “While the union-negotiated collective agreement has very generous redundancy provisions, it is not the same as a job, and we are worried about this coming on top of other job losses in the food manufacturing industry in New Zealand,” says Phil. Phil notes the decision comes soon after the Cadbury closure and follows announcements of future job losses at Griffins and Kraft Heinz Watties. “This is yet another example of a global corporate making decisions which adversely affect local workers,” he says. “I think it’s time for New Zealanders to think carefully about what products and businesses they support, and where the profits made go to. E tū has welcomed a decision by the Employment Relations Authority that the sacking of its member, Caro McFadden by Nelson’s Gateway Trust was unjustified. The Authority awarded Caro a total of $21,594.00 – including $6594.49 for lost wages and holiday pay, as well as $15,000 for humiliation, loss of dignity and injury to her feelings. Gateway Trust provides in-house and out-reach mental health services for people across the upper South Island. Caro’s job was disestablished following a service restructure and she failed to secure one of three new managerial positions. She was subsequently dismissed during a period when she was invited to consider a redeployment offer and whilst she was off sick with a doctor’s certificate for stress related to the imminent loss of her job. The Authority found Caro had been unjustifiably dismissed. In its ruling it said no fair and reasonable employer would have dismissed her in circumstances where they failed to meet her face to face to discuss her options once she recovered from her illness and learned of her decision in relation to alternative work. “E tū took this case on behalf of our member, Caro McFadden after her unfair treatment by the Gateway Trust and we are delighted that the decision to challenge her dismissal has been vindicated by the Authority’s ruling. Caro deserves this win,” says Ria Holmes, E tū organiser in Nelson. In a statement, Caro says the judgement has gone in her favour and she is happy with the outcome.